Some 2,700 jobs are at stake as 323 Dollar Express locations come under Dollar General’s control. Discount retailer Dollar General is set to buy Charlotte-based chain Dollar Express, leaving some 2,700 part-time and full-time positions at stake. 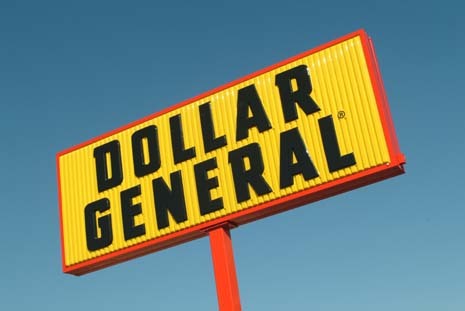 Dollar General has confirmed its plans to purchase all 323 locations across 36 states from Dollar Express, which were formerly Family Dollar stores. A number of the 323 stores in question were never even converted to Dollar Express stores by Sycamore Partners, who acquired them from Family Dollar. The 323 stores were part of a deal between Family Dollar and Sycamore to satisfy antitrust approval of Dollar Tree’s acquisition of Family Dollar in 2015. The stores in the deal represented some $45.5 million in operating income at time of divestiture. The locations will be rebranded as Dollar General stores. As part of the takeover, approximately 100 corporate Dollar Express positions could also be in jeopardy. Several Dollar Express stores will also be liquidated as part of the deal. The Dollar Express website has already been taken down. The move follows an unsuccessful bid to buy Family Dollar in 2014, and the announcement earlier this year of plans to add 1,000 new stores and create more than 10,000 new jobs nationwide in 2017. According to the Charlotte Observer, the retailer said that approximately 500 of those jobs would be located in North Carolina. Terms of the Dollar Express deal have not been disclosed, though the acquisition is subject to specific closing conditions and regulatory approval. As of early 2016, Dollar General has more than 12,400 stores across 43 states. “We see a long runway to growth, with potential for nearly 20,000 Dollar General stores over time,” Stifel Nicolaus analyst Taylor LaBarr told CNBC.